During reconnaissance, intruders gather information from public sources to learn about the target: the nature of the business, the technical infrastructure, architecture, products, and network configuration. The actions required to discover this information might seem harmless and might even be overlooked by security administrators as “network noise,” but the information gathered in the reconnaissance phase can be useful for launching a network attack. Social Engineering – manipulating people to divulge confidential information or tricking people to do things beneficial to the user – might become prevalent at this stage. If the reconnaissance is pulled off successfully, the target might not know until it is too late. In this article, I describe some tools and techniques used in the planning, scoping, and recon portion of a penetration test. 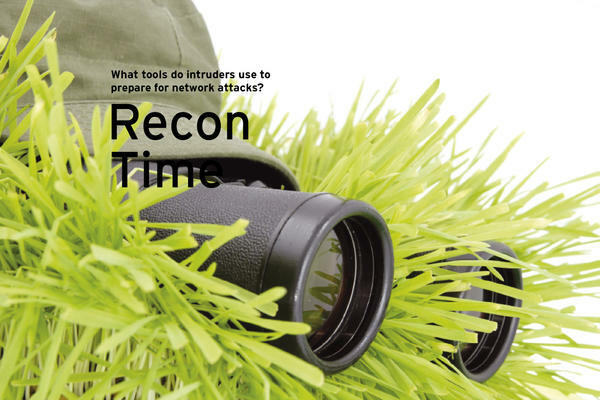 If you learn to use these recon tools, you’ll get a head start on the intruder by finding these vulnerabilities before they are subject to attack. Intruders and penetration testers use a number of tools to obtain DNS information. Many of these tools are very familiar to IT professionals. Tools such as nslookup and dig provide information on domain names, name servers, and network hosts accessible through the Internet. The popular whois service also offers a means for discovering domain information. The Nmap scanner’s -sL option (nmap -sL ) performs a reverse DNS lookup on every IP address in the scan and queries the DNS server each time an IP address is listed. Fierce is interesting to run in larger organizations that have vast networks. If it finds anything, Fierce will scan up and down looking for anything else with the same domain name using reverse lookups. (Where searchoption1 and searchoption2 are different names that the target goes by, such as acme.com and acmecompany.com ). Figure 1: Searching out non-related domain names with Fierce. $ ./fierce.pl -dns <target> -wordlist dicfile.txt -file target.txt. Dnsrecon, Fierce, and the other DNS tools will likely identify numerous systems that are directly and indirectly associated with the target. You might identify many systems that are out of scope of your initial target, and you must then verify their inclusion in or exclusion from your target scope. When querying DNS servers, you get some interesting information, indicating which machines are mail servers or name servers. 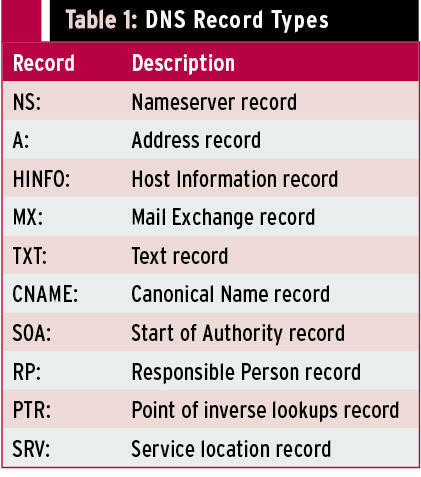 Table 1 shows a list of DNS record types. 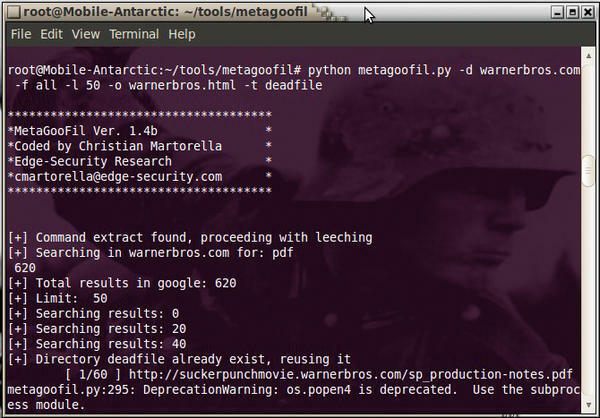 Figure 2: Finding useful documents with metagoofil. The -d option specifies the website to search, -f specifies the file type, for which I selected all , -l specifies to limit the results to 50 , -o specifies the output (in this case, HTML), and -t specifies the target directory to download the files. 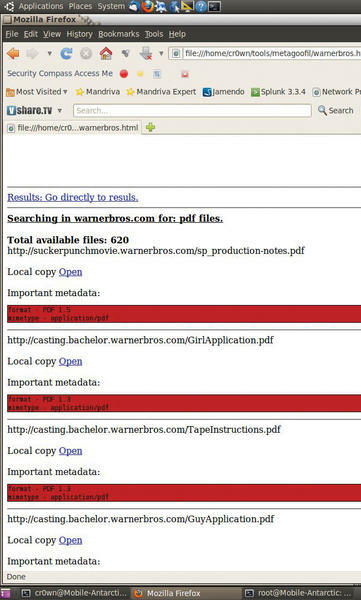 Now open up a web browser and look at the results of the warnerbros.html file (see Figure 3). wScroll through the HTML page and find all the important metadata from each file that was found during the scan. At the end of the document is a list of total authors found (potential users) along with path disclosures (see Figure 4). Figure 4: Finding potential users and path disclosures. Professional attackers have much more pointed at your site than just Nmap, and you should too if you want to test your network’s security. We’ll show you some tools intruders use to gather information. Automating the pen test discovery process in the era of IoT, the cloud, and social media. The Kali Linux distribution is a complete toolbox for penetration testing. Discover indicators of compromise with open source pen testing tools. 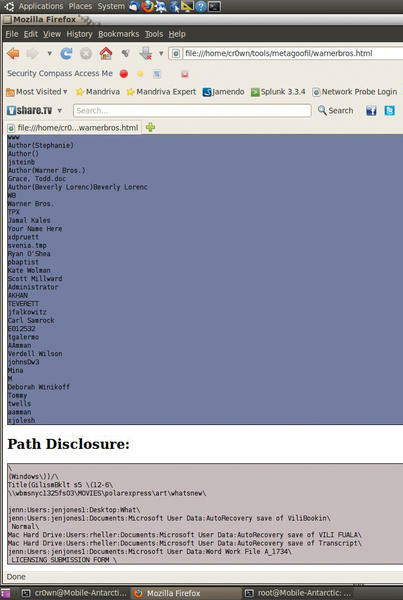 The recon-ng web reconnaissance framework is an important tool in penetration testing.